This tutorial shows you how to create AWS Architecture Diagram step by step. We offer an energy-saving solution through which you can gain professional looking AWS diagram even without any experience. AWS diagram can be created by dragging and dropping AWS icons. The following steps will guide you to finish a professional-looking AWS architecture diagram. Start Edraw AWS software. 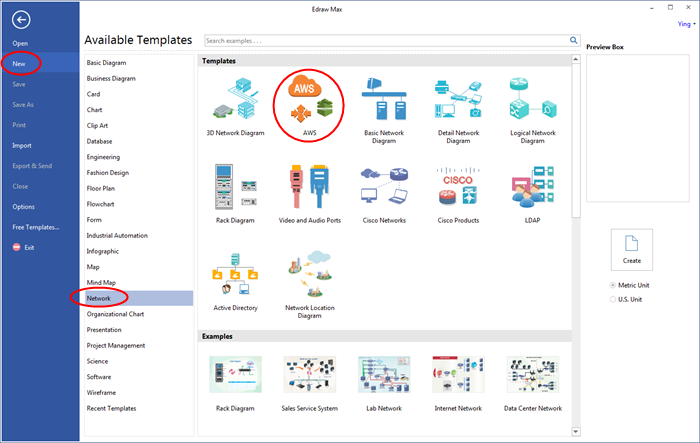 On the File menu, point to New.-> Click Network Diagram, and then double click the icon of AWS. You will see a new drawing canvas, together with some opened AWS symbol libraries. Drag and drop AWS icons from the libraries on the left of the canvas. Open more symbol libraries by clicking the Library button. Close the libraries that you don't need. 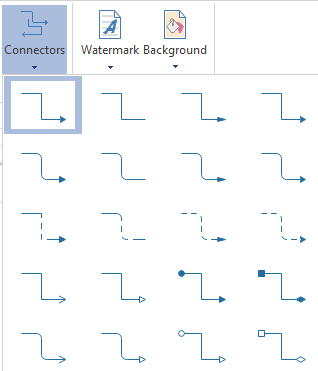 You can use the automatic Align and Distribute buttons to layout the diagram quickly. 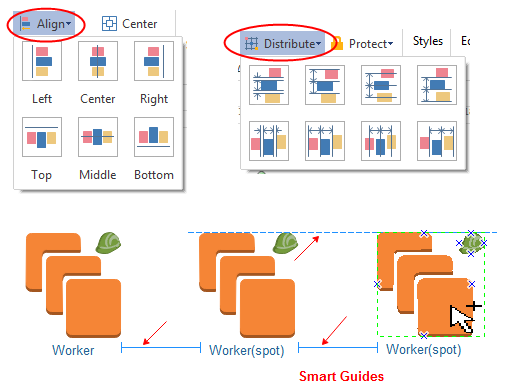 Or use the smart guides when placing shapes on canvas. You can also use the Connector tool under Home tab to connect the icons. The built-in AWS icons are designed with 4 connection points which allow "snap and glue" when connecting. To set default Connector style, go to the Page Layout menu, and choose one from the pre-defined styles. Press Text button, when the cursor turn to Text mode, draw text boxes on any place of the canvas. Click Save on File tab to save as the default format. 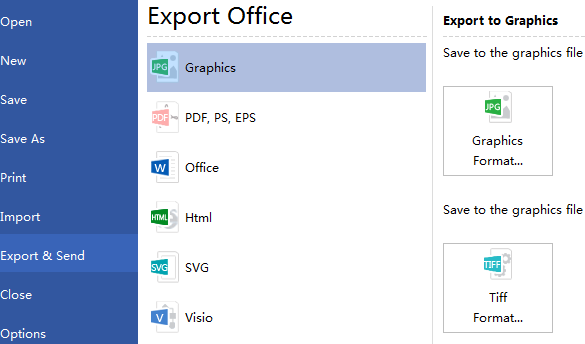 Choose Save as on File tab to save to other file or save as other formats. Hit Export & Send under File to export the AWS Diagram as graphics, MS files, PDF, web documents and so forth. To go back to your document and modify it before printing it, click the top left arrow. Here are some AWS diagram examples. They can help you get inspired and get started quickly to create AWS architecture diagrams.